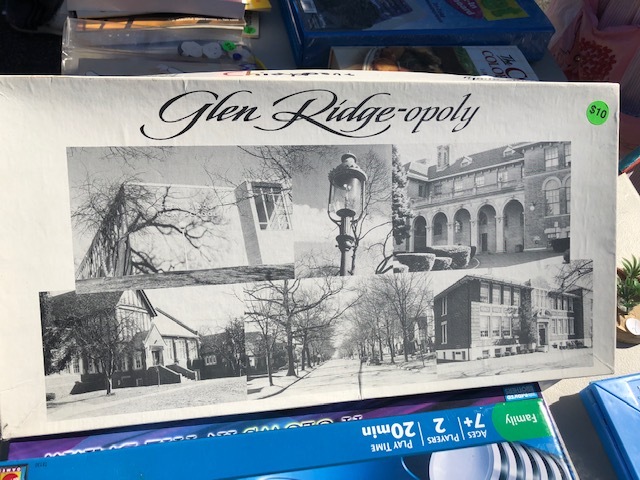 Glen Ridge has always been an easy sell. Tucked between Montclair and Bloomfield, it has always felt like the sweet, quiet, sister-town – pretty and quaint, with old gas streetlamps, manicured lawns, and its own Manhattan-direct train station. But, to be honest, although it’s a wonderful place to live, it’s not usually a destination. Many homes in Glen Ridge are super close to Montclair or Bloomfield restaurants, sometimes even walkably so. Their great town pool is a destination, but largely for residents. 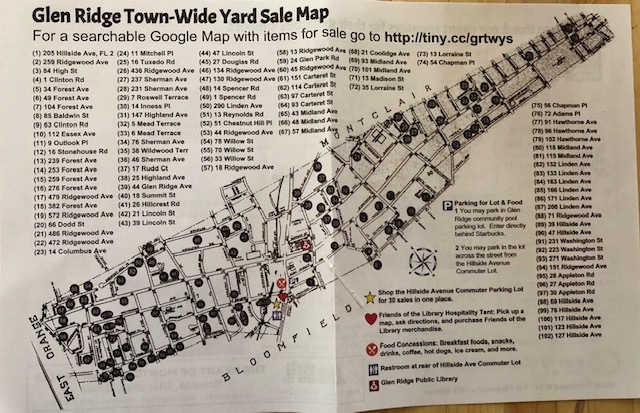 So, it’s especially fun and festive when all of Glen Ridge turns into The Place To Be, as it did last weekend during its third annual Town-Wide Yard Sale. Anyone who knows me knows I love a good yard sale. And on Saturday, there were over 100! 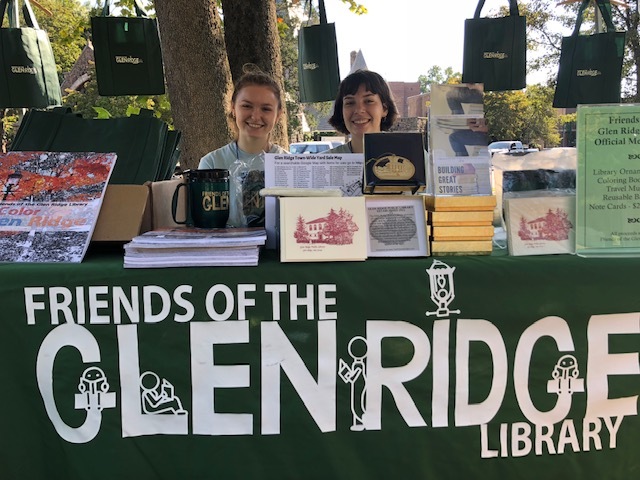 The event was created by the Glen Ridge Library as a fundraiser. Residents who participate are allowed to waive the town's yard sale permit fee if they make a small contribution to the library. 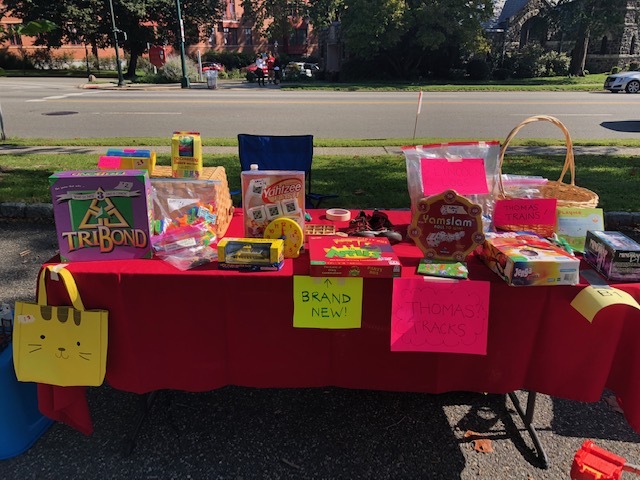 The hub of the event also takes place in a big commuter parking lot on Bloomfield Avenue, where the library "sells" spots for vendor tables. A few merchants had professional looking displays, but most were just regular people who had some swag to unload. The thing that struck me most about the event this year was when I asked the library director how she came up with the idea. She said they “borrowed” it from a neighboring town that tried it a few years ago. Apparently it was a flop there, but it has been a resounding success in Glen Ridge. And that’s really the thing about Glen Ridge – it’s a town full of fierce community spirit, but it’s not an in-your-face kind of spirit. It’s more of a quiet, sustaining spirit that's woven deep into the old bones of this strikingly beautiful town.